This is the first study that has used satellite telemetry to assess the spatial behaviour of adult leopard seals. Satellite tags on 11 leopard seals transmitted between 29 days and 282 days. Swim speeds, distances swum per day and distances from tagging site were significantly different among individuals and seasons. Swim speeds ranged from 0.004 km/h to 10.86 km/h; distances swum per day from 0 km/day to 150 km/day; and the maximum distances from tagging site ranged from 33.30 km to 319.97 km. Rather than moving north-south with the ice most seals remained within a 50 km radius of their tagging site from 11 days to 97 days. 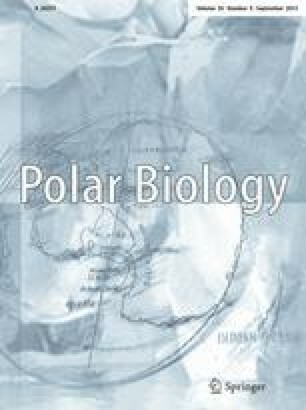 The relatively sedentary movement of the leopard seals was unexpected, particularly the movement of animals over winter, which although slightly offshore did not reflect the usual northward winter migration described for the leopard seal. But traditionally, the leopard seals’ spatial habits have been described from sightings of animals at higher latitudes. These are generally younger animals and their behaviour may not be representative of the adults. This study has focused on adult females and animals at the extreme southerly range of the leopard seal. This highlights the importance of understanding and reporting age structure and distribution when discussing animal spatial behaviour. This work would not have been possible without the support of the station leader and the personnel at Davis Station, but special mention needs to go to Bob Jones. For assistance with fieldwork, we would like to thank Sophie Hall-Aspland, Rachael Gray, Brett Hill, Clair Holland, Brendan Hill, Julie Barnes, Damien Higgins, Birgit Buhleier, Colin Southwell and the helicopter pilots Adrian Pate, and especially Peter Ernshaw. Special thanks go to Kevin Lay at Sirtrack for assistance with the tag development, also to Michele Thums for assistance with tags. Distance data was calculated with the assistance of Geoscience Australia. This programme was funded by Antarctic Science Advisory Committee Program 1144, Sea World Research & Rescue Foundation Inc., Australian Research Council and the Scott Foundation. This programme was conducted under the approval of the Animal Care and Ethics Committee of the Antarctic Science Advisory Committee under permit number 1144.